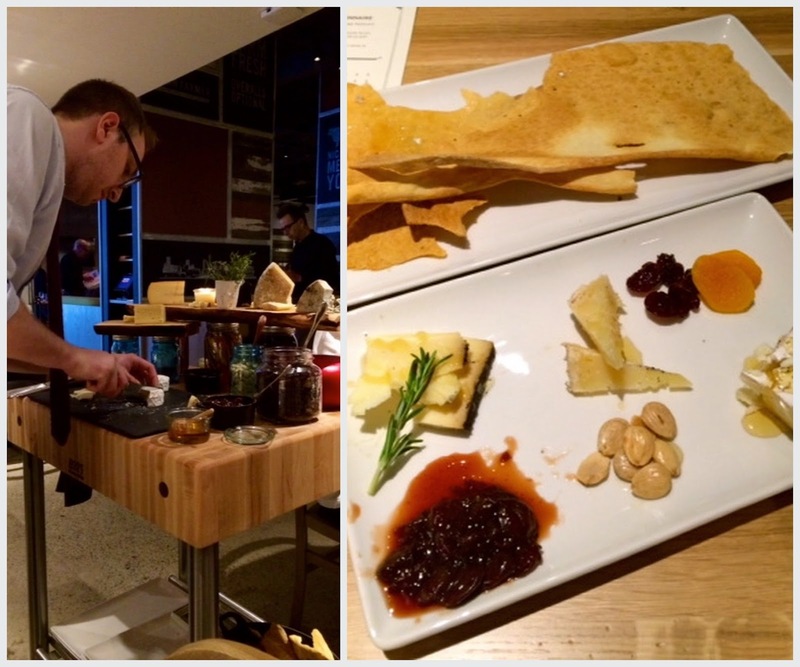 A few weeks ago, Urban Farmer opened its second restaurant in Cleveland. The original, located in Portland, is lauded as one of the best 'modern steakhouses' of the Pacific Northwest and has received quite a bit of good press from USA Today, Travel + Leisure, The Wall Street Journal and more. 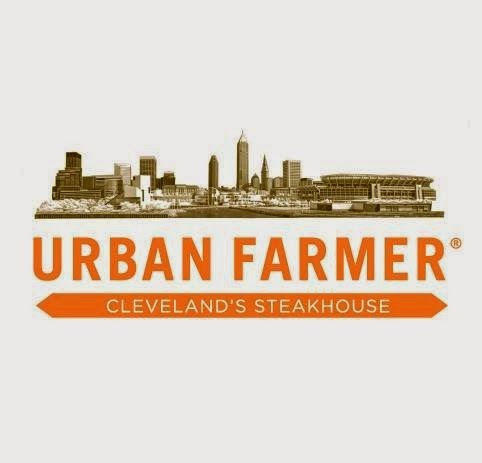 Set right in the first floor of the brand new Westin Hotel, Urban Farmer Cleveland features a seasonally-driven menu that highlights sustainability and nose-to-tail cuts of naturally raised meat. The interior evokes a reclaimed rambling farmhouse that has been updated with an eclectic mix of inspired design. Each private event space has it's own personality and I simply cannot wait to plan a gathering here. One glimpse of the Roaming Cheese Cart and we were sold. Your plate is curated tableside and time is spent to ensure you get a well rounded (for your taste) selection. I love myself a bar cart, why would a cheese cart be any different? 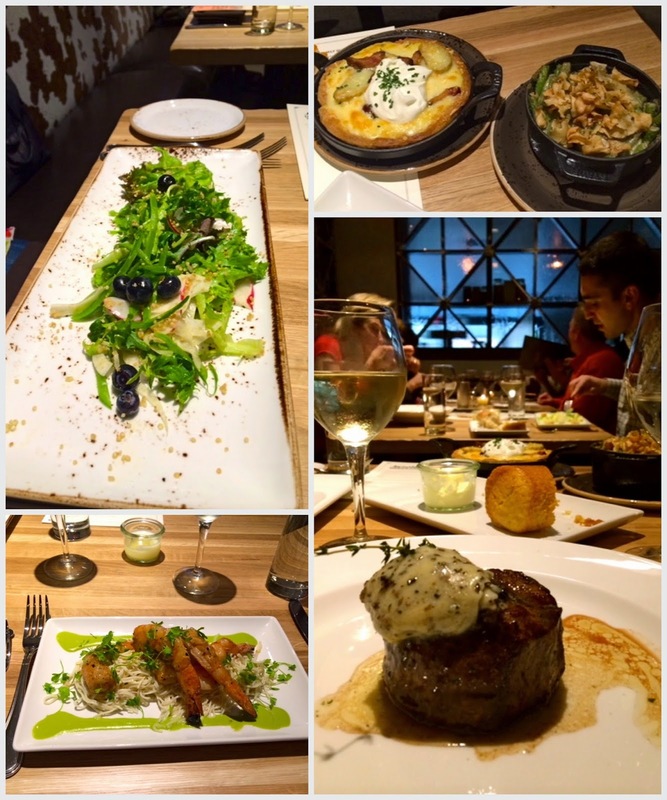 We tried a few apps, steaks, sides and dessert. Everything was incredible. My personal favorite had to be the chilled shrimp appetizer. Served with celery capellini and chive aioli, the enormous shrimp would be enough for lunch on its own. The sides, served in cast iron serveware, are heavenly, hearty and each is plenty for two to three people. Urban Cleveland is a restaurant that takes its food and drink quite seriously. Blackboards outline where things are sourced from and photographs of local farmers adorn the walls. Everyone on staff is extremely knowledgeable and at the ready to answer whatever questions may arise. ("What is the difference between grass-fed and grain finished again?") But they don't take themselves too seriously. There is a whimsical vibe about the place. Everyone is excited about what they're doing and having a great time doing it. In addition to steak, they have an assortment of fish, chicken, pork and duck to choose from. They recently introduced brunch on Saturday and Sunday from 8a-3p with a Bloody Mary bar kicking in at 11a. LOVE LOVE LOVE! We had our Christmas dinner at the Portland location and it was fab. Can't wait to check it out here!! wow, i had no idea this place had opened up. always exciting to hear about a new restaurant i can try around town.